Home HealthConditions and Diseases Avoiding Colon Cleansing Mishaps! Death begins in the colon! That may sound a little extreme but it is a fact that a troubled colon leads to all sorts of diseases, some more serious than the others. Colon cleansing is one of the best ways of cleaning an unhealthy colon that is severely out of balance. While it is necessary to learn about different methods of cleansing, it is of utmost importance to understand that several mishaps can occur if colon cleansing is not performed properly. Do not believe anyone that says colon cleansing is free from any reactions. It is common to have physical reactions to the colon cleansing process. These reactions may include headaches, vomiting, fatigue, diarrhea or dizziness. For all the discomfort, this is actually a sign that the process is working and that you are actually eliminating toxins from the body. Although, these symptoms may not be considered as serious, if they do occur, you may need to temporarily cut back on your cleansing procedure. You must learn not to confuse cleansing supplements with laxatives. Laxatives are not considered to be a good alternative, despite the fact that many health professionals recommend them. According to colon hydrotherapists, laxatives only stimulate the muscular movement of the colon. They can also cause dehydration and do nothing to loosen and remove the colon’s false lining. Laxatives may also weaken the colon by irritating and over-stimulating it, and it is best to stay away from them. Colon cleansing should not be attempted without taking into consideration all the health factors. Those recovering from substance abuse, alcoholics, diabetics, people suffering from eating disorders, and individuals who are physically weak or have a hypothyroid or hypoglycemic condition should not undergo any form of cleansing or detoxification without strict medical supervision. It becomes inevitable to consult a physician before venturing to clean the colon, even when going in for alternative colon cleansing treatments using herbs. We know that a colon cleansing program begins with the intake of adequate amounts of fiber among other things. However, increasing your intake of dietary fiber too rapidly can cause unpleasant side effects, such as gas, bloating, and even diarrhea. Someone in a state of ill health and gastrointestinal dysfunction cannot rush into a detoxification program. In people whose systems are deeply imbalanced, the body lacks the energy and proper organ function to run the complex processes of detoxifying itself. To avoid any of the unwanted side effects, fiber consumption should be increased gradually. Many people rush into it because they decide they need to get their health right immediately, and in the process suffer unexpected health problems. Colon cleanses can be done at home too but the danger is of overdoing it. With colon cleansing, too much too soon can prove to be harmful. If attempting to do an enema at home, the equipment should be sterilized properly. Any negligence can easily lead to bacterial infections that could turn serious. It is also important to be gentle so as not to damage the intestinal wall. Total fasting is bad for health too. Yes, there are many colon cleansing programs that stress on fasting but when you fast without consuming anything, your liver has to exert itself to flush out toxins. These toxins can easily get into the colon and then into the body. They eventually come back to the liver, putting a lot of load on the liver. There has to be intake of fresh organic juices, raw vegetables and lots of water to ensure that toxins are flushed out and do not recirculate. According to the Department of Health, there have been cases where colon cleansing has caused severe illnesses and even death due to contaminated equipment, perforation (puncture) of intestinal walls or electrolyte (salt and mineral) imbalance. People at higher risk for a bowel injury include those that have ulcerative colitis, severe hemorrhoids, rectal or colon tumors, diverticulitis or those recovering from bowel surgery. People with heart failure or kidney problems may experience electrolyte imbalance. 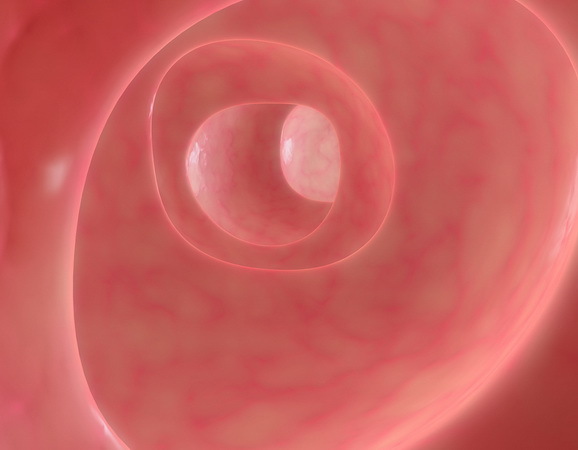 Since the colon walls can absorb substances, there is a chance that it can cause allergic reactions with the possibility of irreversible complications. Although, colon cleansing in itself is not dangerous, the way it is performed has a big impact on the outcome. All these mishaps can be avoided by taking by ensuring it is done under the supervision of a healthcare professional. Letting Out The Fizz – Are Pepsi And Coca-Cola Getting Natural?